Description: Most of us think about Information Security as a new, hot and stimulating topic. Almost everyone in modern industry has heard and thought about attacks, breaches, data compromises and defenses. However, Cyber Warfare pre-dates the modern computing era. As far back as 1976, when I started my first job in astrodynamics working on Air Force satellites, security was an important consideration even decades before the Internet and our powerful computing devices. The security story I want to share begins in the late 1970s. As a young, UC Berkeley graduate, my attention was on mathematics and getting a job! I never imagined that I would focus on security for the next few decades. I never envisioned myself as a critical decision maker, whose actions would affect the course and success of a multi-billion dollar, global enterprise. Understanding the security story will help us all be better at identifying what needs to protected and how we need to define and design our protections. 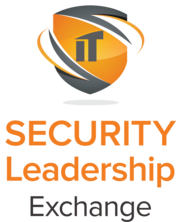 Speaker: Malcolm Harkins, Chief Security and Trust Officer, BlackBerry Cylance, Inc. Description: Ever wonder how to create lasting commitment from your employees and for yourself? How to get your teams to stay engaged battling thru the challenges we see day in and day out? How to improve your connections in relationships both inside and out of work? In this talk, I will explore how logic leads to reason and how emotion leads to action. I will go through my personal journey exploring and sharing lessons from my +25 years managing people and leading teams. Designed to foster interaction among executives and build relationships with potential clients and customers. Description: Security Roles in the World of Kubernetes, Containers and FunctionsDigital Transformation 2.0 is upon us -- thanks to containers and functions. As applications are getting containerized, distributed into using a service mesh of microservices, and critical business actions implemented as functions, the way they are developed, deployed and managed (DevOps) has also changed. Development and Operation roles are also evolving to align the responsibilities with the new computing paradigm driven by containers. How does an enterprise align their security roles in this new reality, so that security and compliance gets seamlessly woven into the DevOps pipelines and doesn't become an afterthought or a hindrance to the rapid development and deployment of business functionality? This talk covers the changing state of applications, infrastructure and the engineering roles, and recommends changes in security roles and teams to adapt to the transformation.